Lents International Farmers Market (LIFM) is the only one in Portland with an intentional international focus. LIFM provides fresh, affordable, and culturally appropriate produce to the diverse community of Lents neighbors. Founded in 2006 by a community volunteers and then run by Zenger Farm, it is an important sales outlet for immigrant and new farmers, and new small food business owners too. The market features culturally-specific produce, including NW grown traditional Mexican produce and Asian greens. Friendly pets are welcome. Please keep your pet under control, away from food, and always clean up after your pet.Thank you! 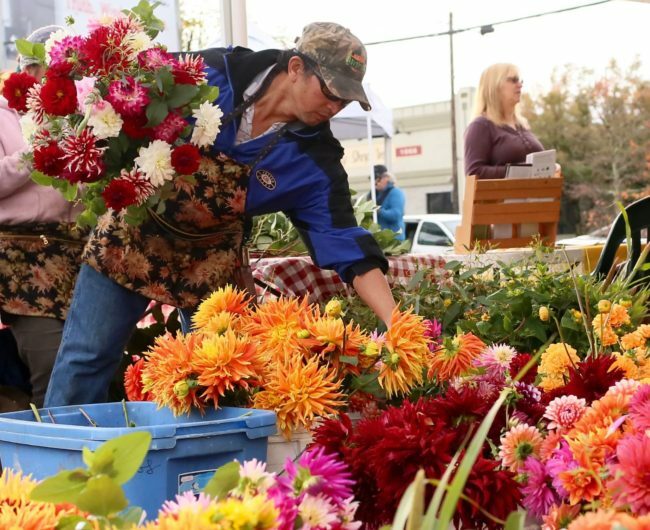 Market Music: Join us for live music at the Lents Market music stage each week from 11am-2pm. Visit our Events Calendar for more information. Kids Activities: Find food-focused activities for kids like Food Scouts at the Lents International Farmers Market throughout the season. Activities will vary, and focus on getting kids excited about eating seasonal fruits and veggies. Food Demonstrations: How about a family-friendly Berry Bash or a Tomato Celebration!? Join us for food demonstrations and festivities throughout the season. Visit the Events Calendar for more information. This market is easily accessible via Trimet. The Lents/SE Foster MAX stop and several bus routes provide service just a block or two of the market. Plenty of free on-street and bike parking is available.